Do you need to be closing sales at a higher rate than you are after meeting with a prospect? After a sales meeting, do you send out follow-up emails but you don’t hear back from your prospects? Are you frustrated that you can’t seem to get your prospects on the phone with you? Stop sending emails and learn how you can use video and your website to personalize the follow-up experience and start closing sales faster. Today I want to share with you how you can be closing more sales using video as a follow-up tool over email or even phone calls. You spend a lot of time out on the sales road meeting with people one-on-one or maybe you’re conducting sales calls on Skype video or the phone? If that’s you, are you ready to learn how you can be closing more sales using video and your website as way to follow-up with your prospects? This is something that so few people do and yet it’s so simple. Almost all of us have phones these days. Personally, I have both an iPhone 6s and an iPad Pro (the new, smaller one that is the size of the previous iPads) that boast powerful 4K video cameras. There are all kinds of devices… there are android phones that have a camera on them as well as tablets. Almost all laptops today come with a built-in webcam. I recommend using your phone as it’s the simplest and fastest way to create high-quality videos for the purpose of follow-up, and the video looks great. I recommend you to a store like Best Buy, or wherever you like to shop, and buy a selfie stick so that you don’t have to hold your phone at awkward angles. If you have a little tripod, or if you buy the selfie stick that has a tripod with it, it’s really convenient. All selfie sticks have Bluetooth or USB plug-ins where you can just push the button to turn the video on and off. 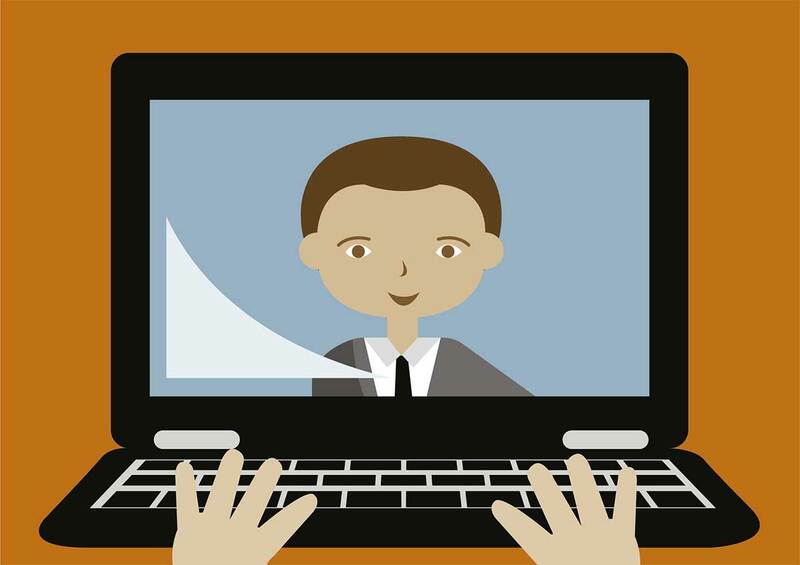 After a sales meeting, you can easily and quickly make a video recap conversation. Imagine for a moment that you just met with Mr. Smith and you go back to the office and you sit down or you go into the conference room. You set your phone up will quickly on the small tripod and you press start on the button on the stick. Once you click the button on the stick to stop the recording the video is instantly saved on your phone and you’re done. Here’s the cool part. You can upload the video straight to YouTube and then login to your website, create the page and embed your video. Why is Following-up With Video and Your Website Better Than Email for Closing Sales? Building credibility and validation and competency is the road to trust and closing sales. There are fewer ways to do it that are better than video. A person buys from someone first because they think the other person/business is competent. Secondly, they buy because competency leads to trust. When it comes to buyer behavior patterns one thing I’ve realized over the years is that people are always going to go back to your website. The more pages that they go through on your website the more you enhance trust, and the more your competency begins to shine through. If you take the time to create a short, personalized video for your prospect and upload it to YouTube (there are other ways as well), you can easily embed it into a webpage you create on your website just for your prospect. You can change the privacy settings on YoutTube to keep the video personal and it’s easy to block the webpage on your website from a search engine so that it remains just between the two of you and can’t be found. Now that you’ve embedded the video into your website, I recommend you create either a short transcript of the video or a personal message in a text form under the video as a summary. Be sure to include the next steps, and if you creating a proposal you can embed a PDF of the proposal on that page for them to download. Number one, they are on your website. Number two they could interact with you visually and audibly. That creates more trust which in turn creates more opportunity. Number three the text and proposal is there and they can download it. Instead, send him an email with a link back to the specific page on your website that you just created and let him know in the email there is a link to your site with a short, personal video and a summary of your conversation with next steps. If the proposal is there, let him know that’s where he will find it. Do not email him the proposal directly. Use your website. Once your prospect is on your website he will likely start looking at other pages and that comes with massive benefits! If he goes to one page on your website you have about a 15% chance of closing the deal, asap. The good news is that you already have him there because he’s watching your personal video, reviewing the summary or downloading a proposal. If he clicks through to another page, for example, you just increased your odds of closing the deal asap to about 15 to 20%. If he goes to three pages you just upped it to about 35%, and he goes to four pages or more you’re between 40% and 60% odds you are going to get that business. You may have already closed the sale in the meeting and he’s probably already ready to buy from you, but can you imagine how you just put him over the top by impressing him and doing something different than your competitors. Your competitors are too lazy to do this and they are looking for shortcuts while you will be closing sales. And, you can be closing sales that may have gone to them just because you took the time to do what they can’t or won’t. That’s all that is to it. You are going to stand out from the crowd! You are going to look different! You are going to feel different! Most importantly, you are going to impress your prospects and you will be closing sales at a much higher rate! I guarantee that this will be closing sales because you are so dynamic, it’s so different. And, you’re actually using the tools that you paid for, like your website and your phone, to help you close more business. Would you like more tips and ideas? Follow us on Facebook and start getting ideas, tips and different ways you can use your website and other online tools to Unveil the Web for your business.